[패턴영어회화] 믿거나 말거나, ~. Believe it or not, ~. 믿거나 말거나, 나 회사 그만둔다. Believe it or not, I’m quitting my job. 믿거나 말거나, 난 소문을 퍼트리지 않았어. Believe it or not, I didn’t spread the rumor. 믿거나 말거나, 아들이 방금 훈련소로 떠났어. Believe it or not, my son just went to boot camp. 믿기 힘들겠지만, 택시를 90분이나 기다렸어. Believe it or not, I waited 90 minutes for a cab. 믿기 힘들겠지만, 우리 개가 피아노를 연주했어. Believe it or not, my dog plays the piano. 믿거나 말거나, 즉석 식품은 네 건강을 헤칠 거야. Believe it or not, fast food will destroy you. 믿기 힘들겠지만, 그녀는 천문학적을 지능지수 소유자야. Believe it or not, her IQ is astronomical. 믿거나 말거나, 너의 회사 사장이 내 학교 동창이야. Believe it or not, your boss is my schoolmate. 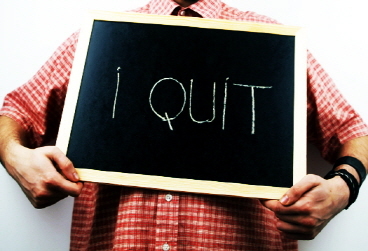 A: Believe it or not, I’m quitting my job. B: You say that every Monday. 너 그 말 월요일 마다 하잖아. A: Believe it or not, I waited 90 minutes for a cab. 믿거나 말거나, 택시 잡는 데 90분 걸렸어. B: This is traffic at its worst. 지금이 교통상황이 제일 안 좋을 때잖아. A: Believe it or not, my dog plays the piano. 믿기 힘들겠지만, 내 개가 피아노를 연주한다. B: In your house, anything’s possible.